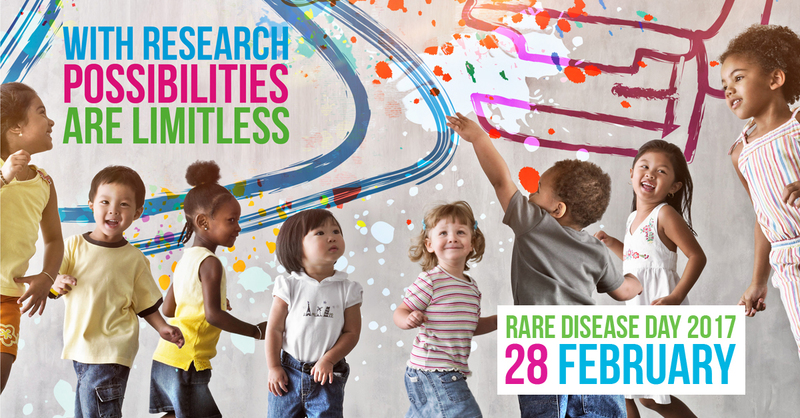 With the theme of research, and the slogan, 'With research, the possibilities are limitless', #RareDiseaseDay 2017 is an opportunity to call on all researchers, universities, students, companies, policymakers and clinicians to do more research and to make them aware of the importance of research for the rare disease community. This year's Rare Disease Day video, which has been viewed over a hundred thousand times and translated into over 30 languages, draws a parallel with a routine that many of us go through multiple times a day - searching for an answer on the internet. The video highlights how isolating it is when you search on the internet but receive the response 'your search had no results'. It also highlights the hope and promise that comes with additional research into rare diseases, something that must be continuously strived for.